one-store-per-owner rule. Big multiple operators can't compete with that. I know, I know, Chick-fil-A operators are not real franchisees but those I've seen sure act like they own the place. McDonald's BFL Operators weren't full-fledged franchise owners but they sure ran good stores and built sales. They are closed on Sunday and only have a very small menu. Count the number of items on their menu and compare to MCD then tell me whose service is better. The smaller menu makes them more efficient so they're faster and I would imagine a less stressful place to work. A small menu doesn't always make you faster, Five Guys is pretty simple but the service times are horrible, it's almost like they are trying to be slow. 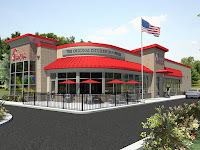 In Chick-fil-A it is not one store per operator most operate two stores and I believe even some three. As an operator with Chick-fil-A operating two restaurants you can make more than many McD's franchisees operating 5. It is not all that easy though to operate a Chick-fil-A they have an iron grip on their operators and a lot of accountability. But I would sure rather be a operator for Chick-fil-A than a supervisor or director of operations for McDonald's. *Are seeking a passive investment in a business. 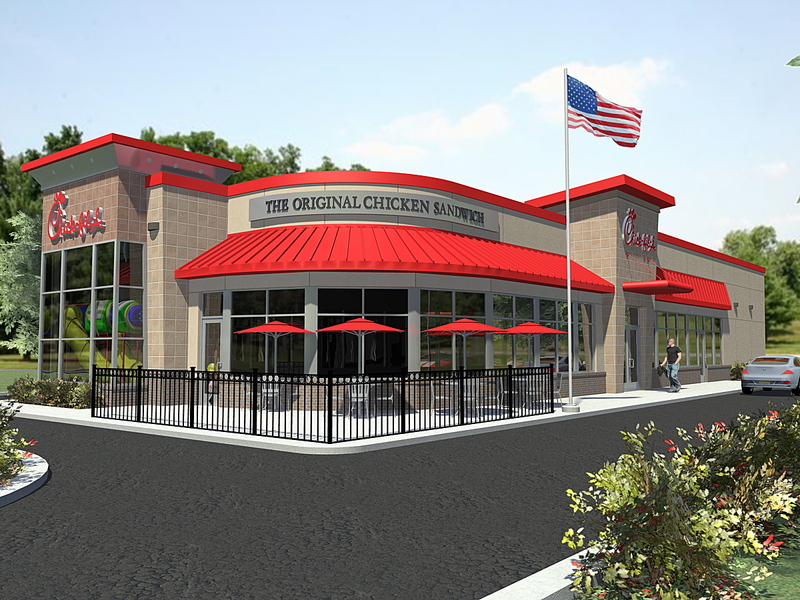 *Want to sell property to Chick-fil-A, Inc.
*Are requesting that Chick-fil-A, Inc. build at a specified location. *Are seeking multi-unit franchise opportunities." Chick will own the industry, unless the Cathy family takes the company public and Wall Street starts running the company. With Chick-fil-A, you are basically "buying" a job($200k/year). There is no investment or debt on the operator side, other than a $10,000 franchise fee. No equity to build, nothing to sell. You pay them 50% of before tax profits and 15% of sales. You only get one store which average over $3.1 million in sales, closed on Sundays(avg. $10k/day sales). 1/250 chance of becoming an operator based on the number of applications they receive a year....after all the interviews, background/reference checks, could take as long as two years to get your store. They protect their brand more than anyone. Originally there was an eleventh commandment in the bible: "Thou shalt not eat any fast food other that Chick-fil-A". However, God removed it in order to protect an animal species. CFA owners can own up to three. I have one in my community that owns three with ARV of $15mil/year! There are apparently a few exceptions. Trapped on a boring conference call this afternoon I used the Chick-fil-A website to search San Diego county. The website lists the operator's name for each store. There are ten locations in the county (seems like more). All are operated by different people except two adjacent suburbs, where the stores are 5 miles apart and the name on the website is the same. So maybe your chances of getting a second location is one-in-Ten? Someday when I have the time I'll study their home market of Atlanta. But I'm sticking with my original theorem - One of the major reasons Chick-fil-A does so well in QSC and sales is because they have on-premises operators.